We’re All A Bunch of Wimps! Where can a girl find monkey bars in this town? I don’t mean the kind you pull up a barstool in and order exotic jungle juice, I mean the metal ladder you cross to develop upper body strength. 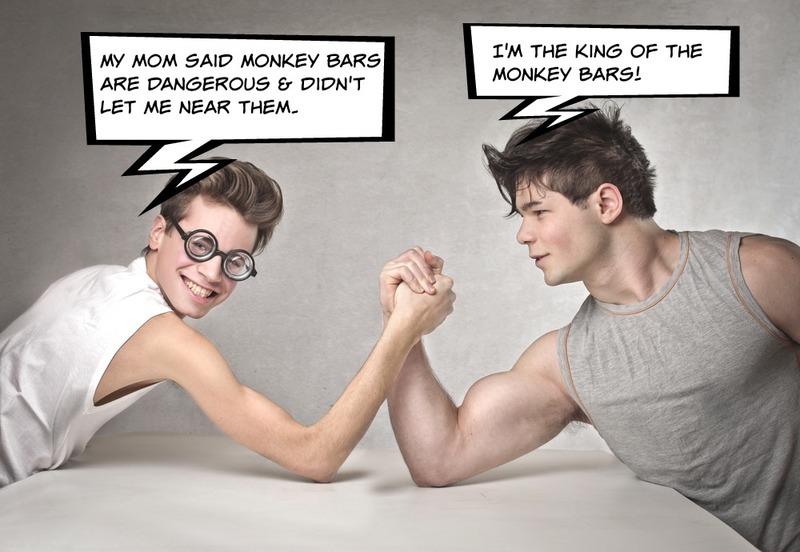 I am about to do my second Rugged Maniac (mud race) in a few weeks and this is my biggest challenge… the monkey bars. I can’t do a single pull up and in the first Rugged Maniac, I could not cross the metal rings that carried you over the muddy water pit, and I fell after 2 rungs. I turned to Google to see where all the monkey bars have gone so I could get some practice in. After doing a bit of research, I discovered that any parent of a child who has ever fallen off of monkey bars, had them removed and banned, calling them death traps for young children lacking the upper body strength to cross them. I’ll tell you why they lack the upper body strength… WE’RE RAISING WIMPS! 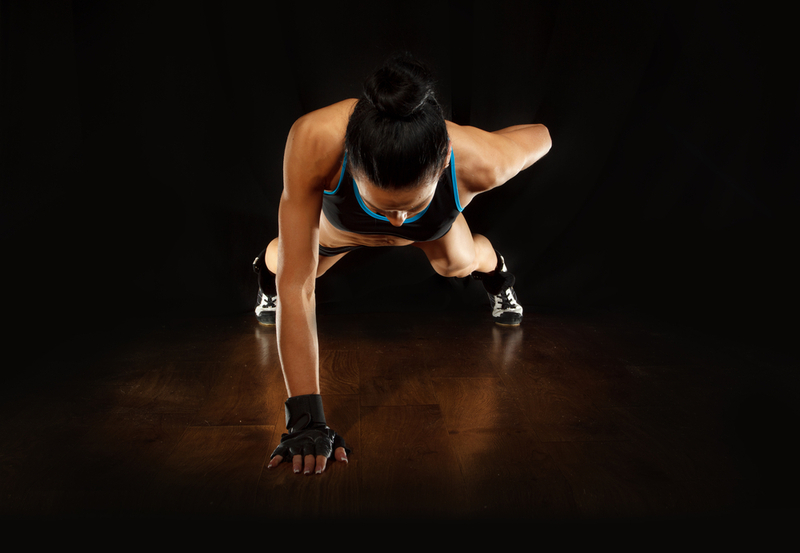 As a young girl in school, we (all of the female gym students) were told we could do “girl push-ups” as the boys all did “regular push-ups.” This suggested to all of the girls that we were not expected to ever do “regular push ups” since we had our very own version. All through high school, I can remember doing “girl push-ups.” It wasn’t until my 30’s that I experienced the humiliation and consequences of my wimpy training. When the kickboxing instructor said to drop and give him 20 push ups, I knew he meant 20 “girl push-ups,” but as I was on my knees, about to start showing my skills, I looked around and noticed every woman in that room pumping out GI Jane style push ups! They were not just “regular,” they were downright manly! Perhaps this is where the whole concept of “running like a girl” or “throwing like a girl” came from. We were told by PE teachers that we weren’t strong enough to do “regular” exercises and therefore we named the sub-par versions, “girl-style.” I wonder if in today’s schools, they are still calling them “girl push-ups,” or if they are even having our children do them at all. After all, many schools have abandoned PE classes altogether. There is hope! This past summer, Mo’ne Davis, the 13-year old phenom playing little league baseball with the boys, showed us all what “throwing like a girl” really meant! This young athlete can also play basketball and I’m sure she “shoots like a girl!” I’d bet she isn’t doing “girl push-ups!” Advertisers like Always, have given us hope, and I hope more brands follow suit. Always created the “Like a Girl” campaign, which should be mandatory viewing for anyone teaching physical education today! I think I need to call Michelle Obama and help start a movement to put back the tough fitness equipment in our schools and encourage more ad campaigns like the one Always has created! We need to stop raising wimpy kids and encourage boys AND girls to be strong and healthy. The Captain and I drove around this afternoon in search of monkey bars at local schools and parks only to discover most schools have only small plastic slide equipment, a couple of basketball hoops and large slabs of cement…probably for lining up in straight lines, or other strenuous physical drills. Fortunately, we found an older school, not too far away, that was still loaded with death-trap, strength-building, equipment. So come November 22, at the Rugged Maniac race in Phoenix, I am going to run like a girl and cross those stinkin’ monkey bars like a girl, who has been doing it all her life! Love your post! Just last week I was putting my kids thru some boot camp-style drills (when too much summer vacation gets on mommy’s nerves, it’s time for boot camp! My children hate me, I’m sure of it) They both put their knees down and said they were going to do “girl pushups”. Happily, their school playground does have monkey bars, and I will be using them this month as I prepare for my first Rugged Maniac! I did the Merrell Down & Dirty 5K last year and it was way too easy. 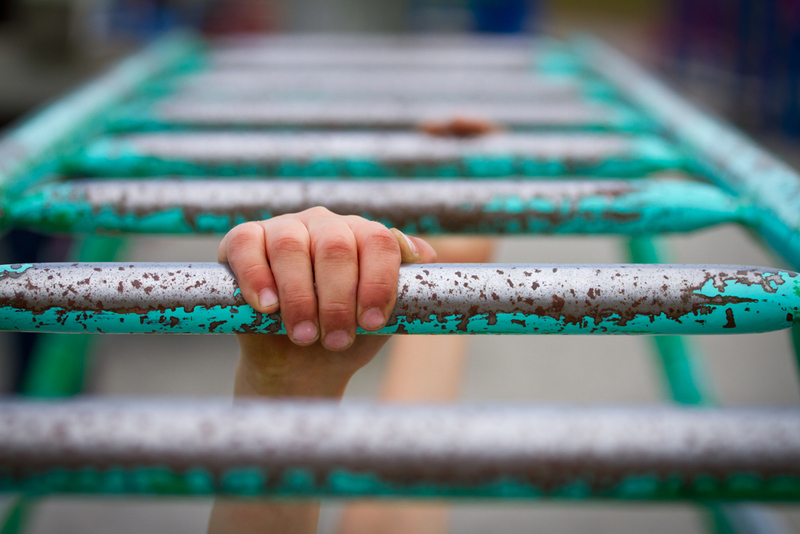 Did the monkey bars help you get across that obstacle?